It is a hard task to say definitively that this picture influenced this painting or this architect influenced this building. The strands and threads of art history are so entwined that the real story is often lost in the convenient or accepted histories that are made by critics and cultural historians. Historians like to make a link between modernism and classical architecture – it is all historically, block and beam construction. It gives a modernist building a certain cachet to be part of the heritage of classical Greece. But I want to look here at the ‘first great American architect’ Frank Lloyd Wright, his influence on modernist architecture internationally and primarily the overlooked debt that Wright owes to his time spent in Japan and the reinvention of their domestic architecture as the American Prairie style. The modern international style of architecture is seen as the invention of the west, its roots firmly in the New American Architecture of Wright and Sullivan at the turn of the century and in the achievements of the Bauhaus in Germany a couple of decades later. There is a simple story that can be made from European arts and crafts, the rejection of ornament and the drift to the clean, classical modernist tropes of the International style. Rarely if ever is there mention of the debt that is due to the traditional building style of Japan, and perhaps more to the traditional ethos of Japanese architecture and building. There is something familiar in the building illustrated in the print at the top of the page. Despite being drawn in the 1880’s there is something startlingly modern about it. 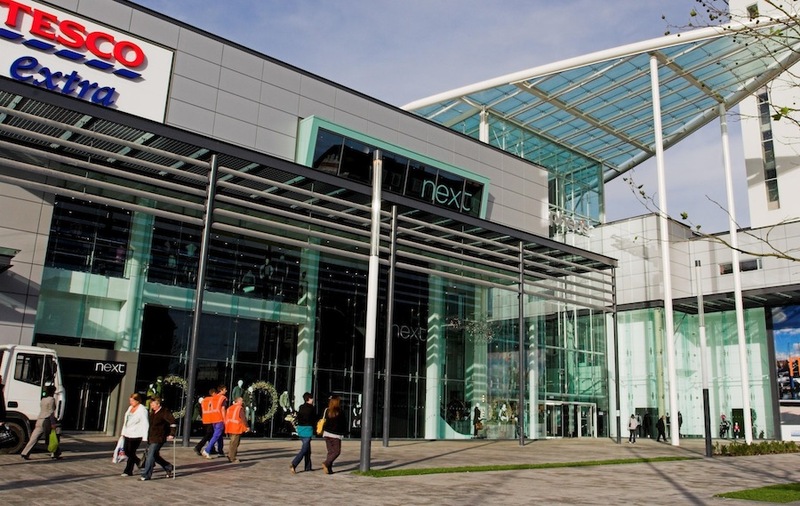 The perspective – a debt here to western drawing styles, the tonality and the composition put us very much in mind of contemporary architectural drawing styles – even perhaps a planning consultancy presentation for an out of town store. The intriguing thing here is how much of that is mere coincidence and how much is a frankly unacknowledged debt to Japanese style which is so much more pervasive than architects in the west like to suggest. Let’s go back to Wright. 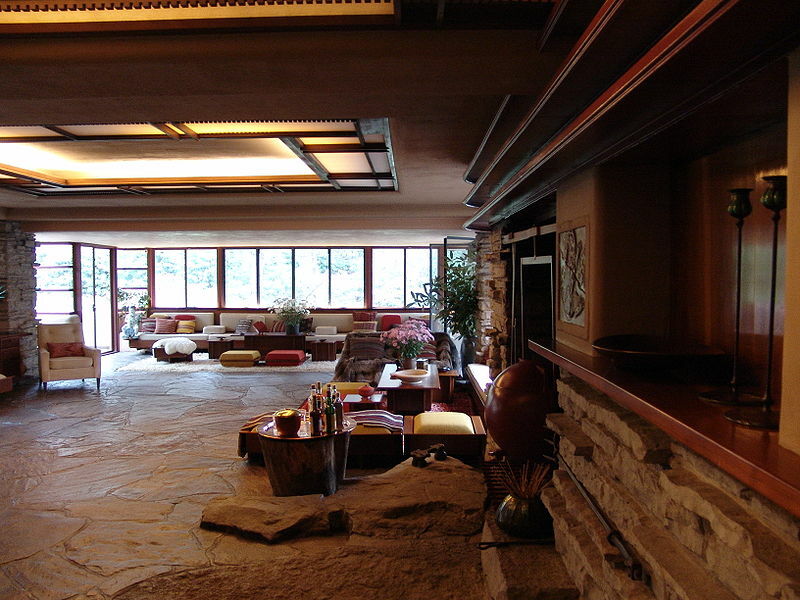 Frank Lloyd Wright is undoubtedly the first great visionary architect of the Americas. His mentor Louis Sullivan, was a great Chicago architect and engineer at the turn of the twentieth century and it was he that developed the notion and the look of the modern skyscraper. But it is Wright that is remembered – the first dandy of the architectural scene, he set the model for the contemporary architect of today. 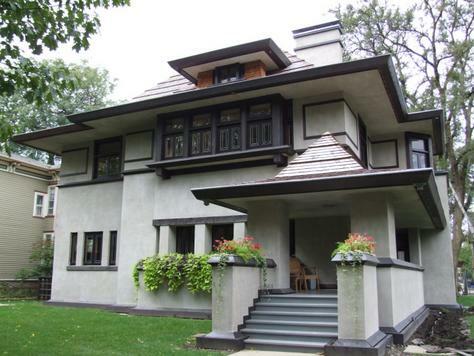 He dressed flamboyantly, he made controversial statements both in the press and in the series of extraordinary and poetic buildings he designed in the first half of the twentieth century. Far from being truly American as he and his admirers like to say, Wright’s big achievement was his debt to the Europeans and the Japanese; his subsequent influence in Europe and the development of the modernist ‘style’. But Wright was essentially an orientalist; he made more money in his lifetime from dealing in ukiyo-e (Japanese woodblock prints) than he made from his architectural commissions; and it was the compelling influence of these prints that directed the style of his drawings and the elements of his architecture. But the great unacknowledged debt to Japan is not so much in the style of his graphic work as in the historic buildings of Japan themselves. Wright spent several years in Japan following the enormous impact of the Chicago World Fair of 1893. He was struck, early on in his career by the art and the models of buildings at the Japanese exhibit and how these contrasted with the classical, European models on show. He felt – deeply – that this low form, spreading architecture with its flexible spaces that drew the exterior scene into the interior space would suit the American landscape, the American experience. He immersed himself in things Japanese, more or less living there for six years and taking on a string of commissions under the booming Meiji Empire. He worked on designs for the Imperial Hotel between 1912 and 1922 and it was a huge achievement. Unsurprisingly it effortlessly married a modern American aesthetic – industrial classicism if you like with the influences of the city that it was built in. In all, Wright designed some 14 buildings for Japan: an embassy, a school, two hotels and a temporary hotel annex, a commercial-residential complex, a theater, an official residence for the prime minister and six private residences; of these, six were built. It is hardly surprising then that the Japanese aesthetic, its proportion, its building style, materials and philosophy would underpin the rest of his lifetime achievement. And yet throughout his life he stubbornly refused to admit any real influence of Japan on his work. He conceded that it helped shape his philosophy but not in any way the execution of the buildings. His admirers and followers continue this denial and it is hard to find many overt references to his bald Japonisme anywhere in the literature. Comparing a typical Wright interior (above) with a traditional Japanese castle interior though (below), it is hard not to see the obvious influence. …strange because the transatlantic relationship provoked a European response that in the first third of the 20th century reached well beyond the borders of Holland… it germinated architectural modernism and provided a context for the political left… There was a migration of ideas that mixed, corrupted and synthesized and from that milieu a European architecture evolved into the Modern Movement with its debt to Wright and American Industrial Architecture. 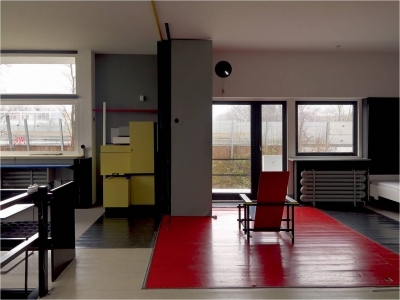 This aesthetic found its way very speedily to Holland and thence to the Bauhaus in Germany from whence European modernism – what we recognise today as modern architecture springs. 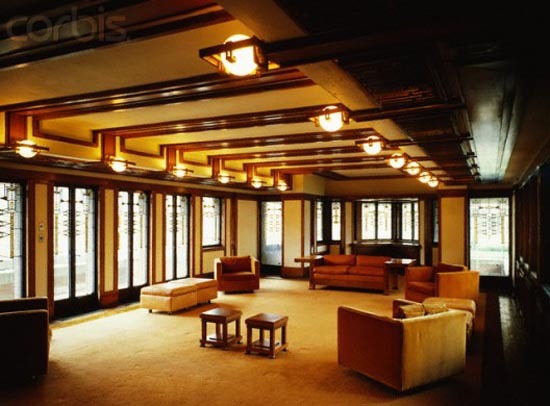 What Wright – via Japan, was able to do was to temper hard edged industrialism and European, jagged futurism with a more creative, considered understanding of interior space (his greatest achievement) and a style of design that was unencumbered by the dead weight of European classicism. It is unfortunate I guess that the aesthetics of Japanese design – after all the thing that inspired Wright so much; the coolness of the interior space, the extension of that space into exterior and enclosed spaces and the relationship to the ground and the landscape – so many of these things have been subsumed to the other great advantage of Japanese design, cheapness. Much of later modern and contemporary architecture identifies the signifiers of good design and strips them bare of their vitality leaving merely a grid of posts and beams and industrial cladding. So it is perhaps not fanciful to see a thread that weaves its way through the aesthetics of Japanese design, via the early career of Frank Lloyd Wright, out of America and the post war modernism of the Dutch de-Stijl architects and across the continent to the quasi-spiritual architects and designers of the Bauhaus into the present day where sadly, stripped back modernism – the bones of the retail park and the out-of-town-store have replaced that rare Kyoto poetry of interior and exterior space with cheap glass and steel sheds for the rapid corporate selling of consumer durables. To see some prints that inspired Wright’s early vision of Modern Architecture then visit A Tale of Two Cities Osaka/Edo at the Toshidama Gallery until September 7th. This entry was posted in Architecture, japanese woodblock prints, Perspective in Art, ukiyo-e art, Uncategorized and tagged de Stijl, Falling Water, Frank Lloyd Wright, Japanese Interiors, Japanese prints, Japanese Woodblock Prints, Toshihide, Ukiyo-e. Bookmark the permalink.